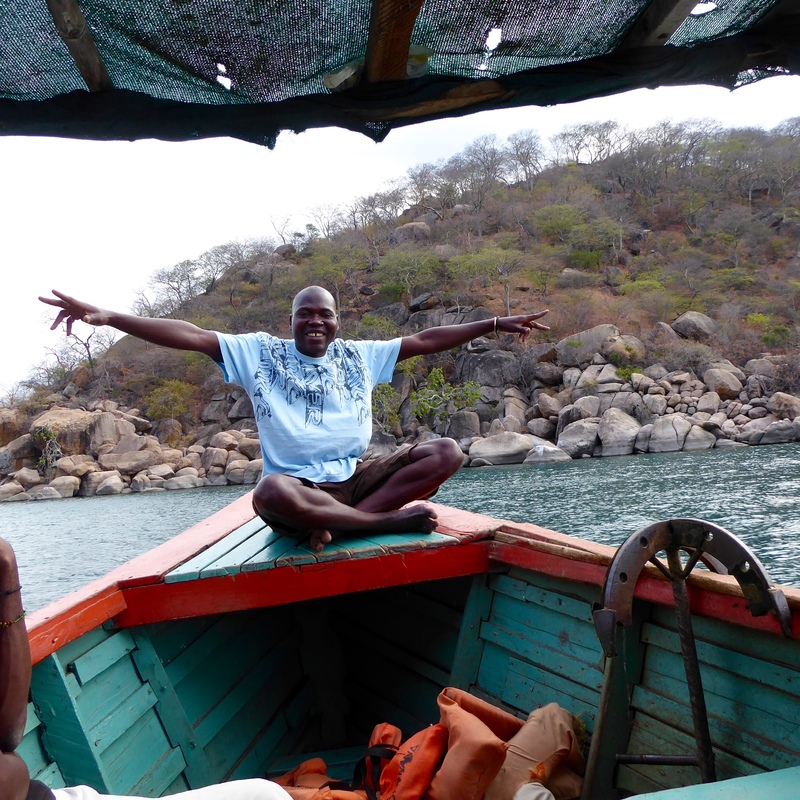 Cape Maclear is on Lake Malawi, and we wanted to be on the lake. 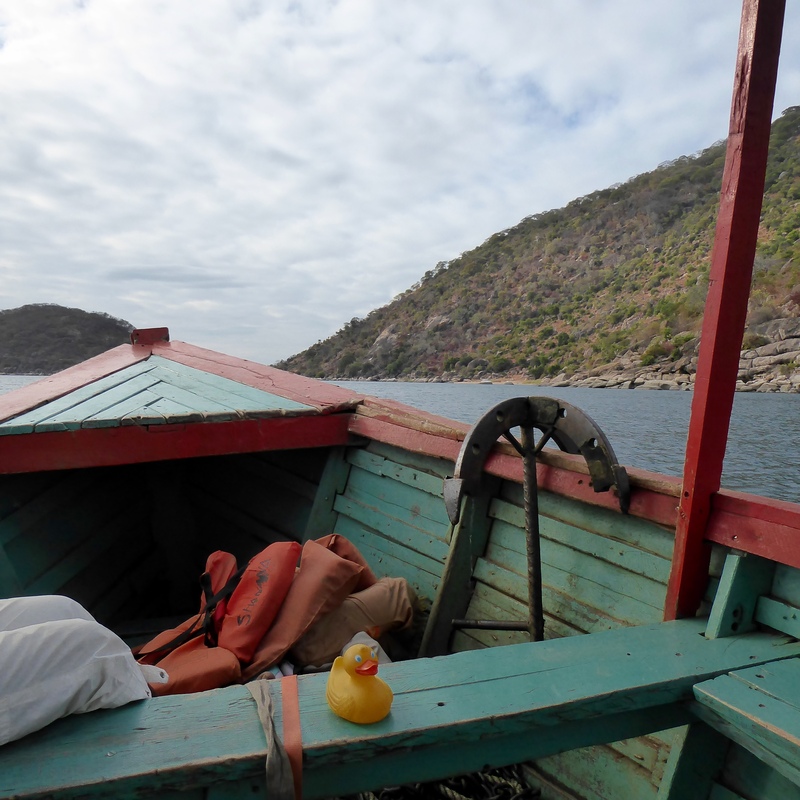 I, Zeb the Duck, and the human women are on this boat. 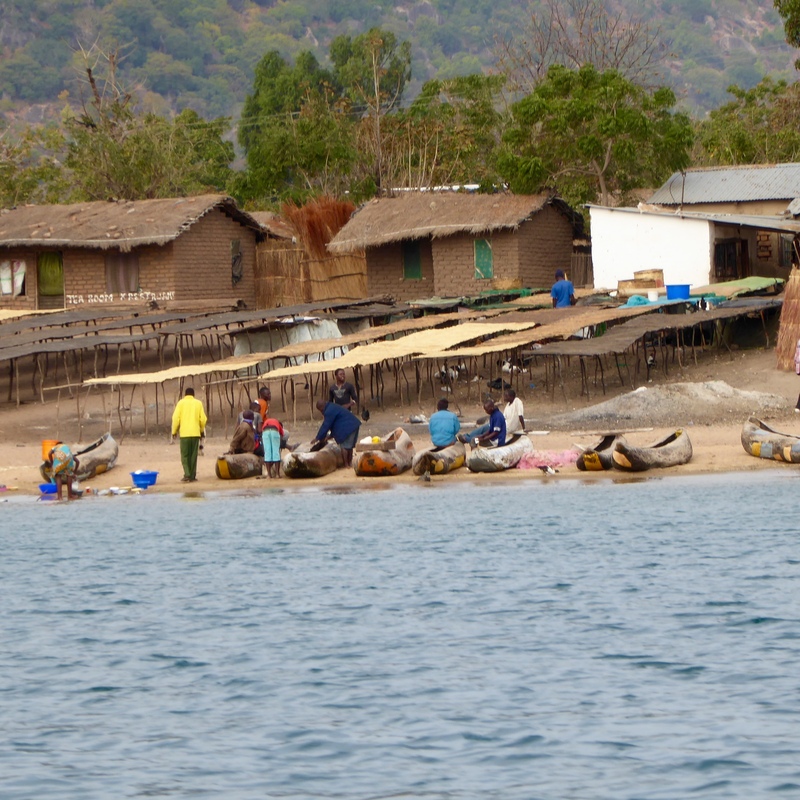 Looking back to shore, we see the racks used for drying fish. The fisherman often have nets out during the night and then dry the catch in the morning. Trees are incredible plants. This one is growing on the rocks and even the roots are on the rocks. How do they get water and stay attached to the rock? This duck does not know. Our boat crew took us past this pretty cove. They told us monkeys are usually here. I love to see the monkeys. 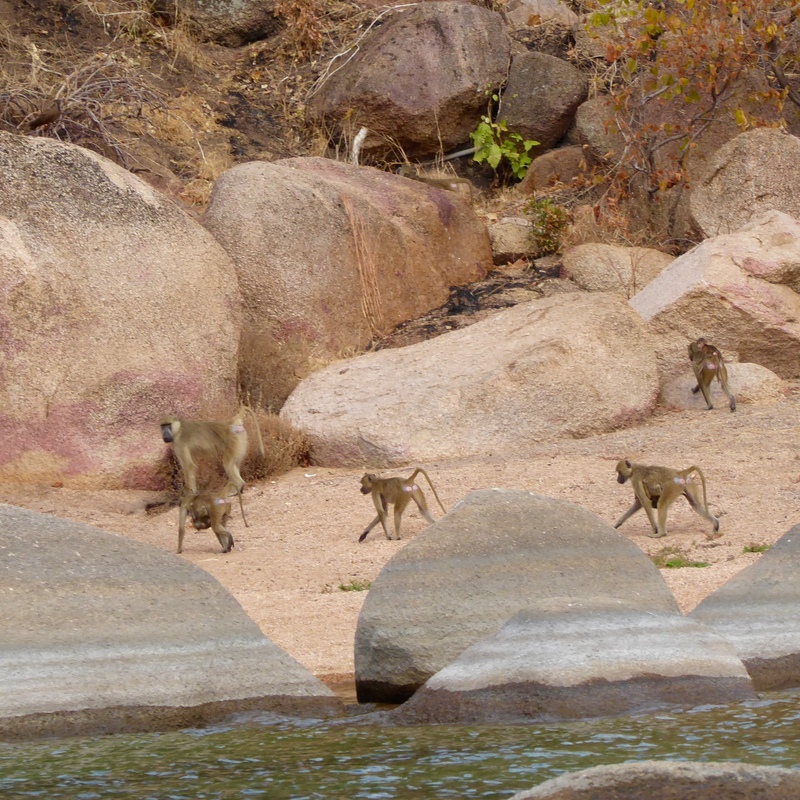 We are not alone out here on Lake Malawi. The men on our boat were very knowledgeable and a lot of fun. 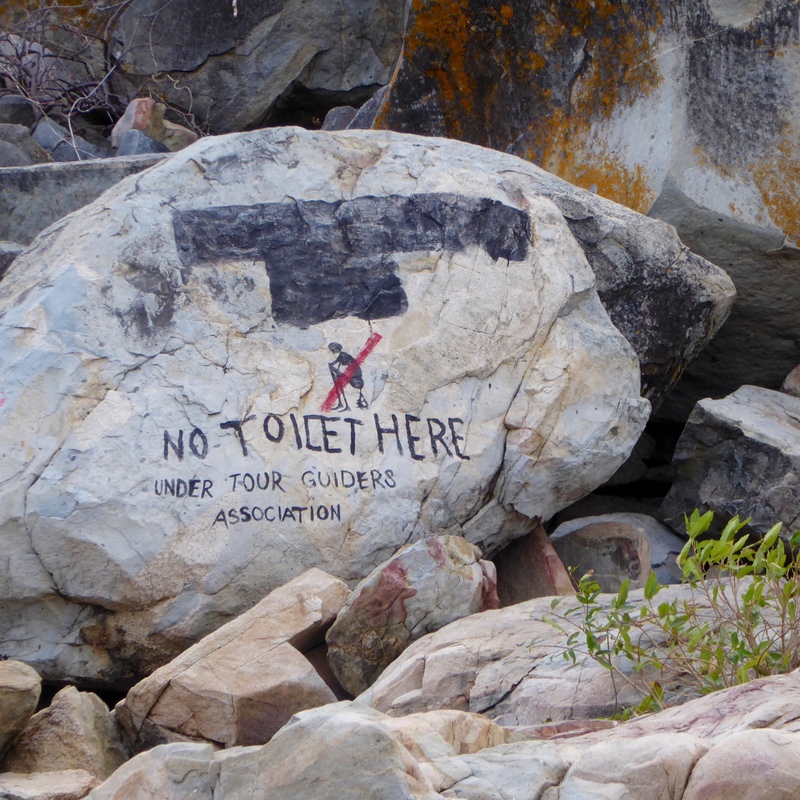 This rock, on an island known for snorkeling and diving, is a reminder to keep the area clean for all visitors. The water in this snorkeling area is rather shallow and very clear. From the boat we could see many fish. 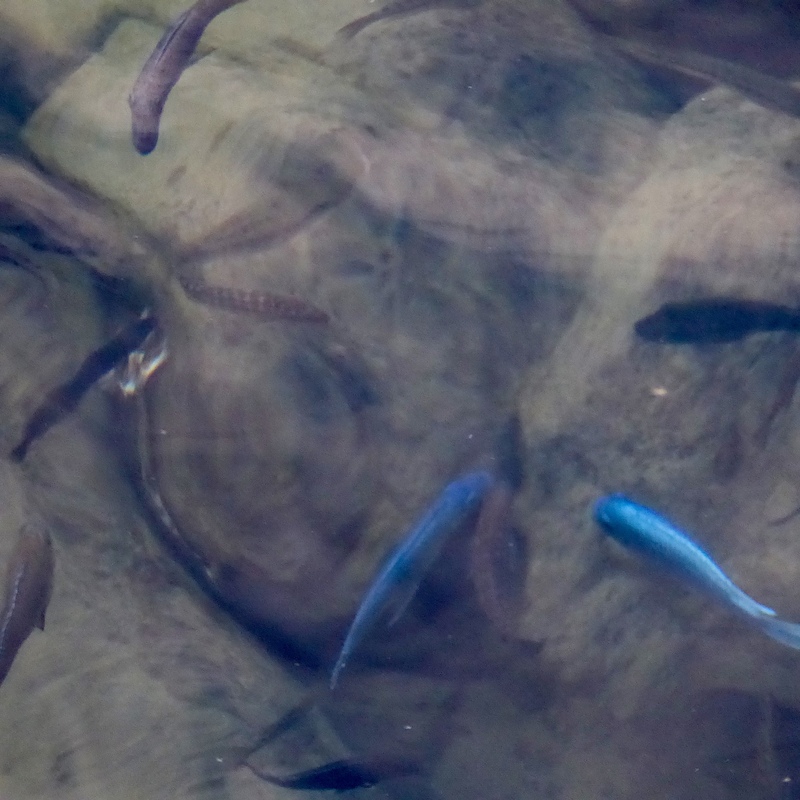 These blue fish are so bright and colorful. There were also white, yellow and orange fish here. It was a little too chilly for us to snorkel, but we loved the cheerful colors of the fish. 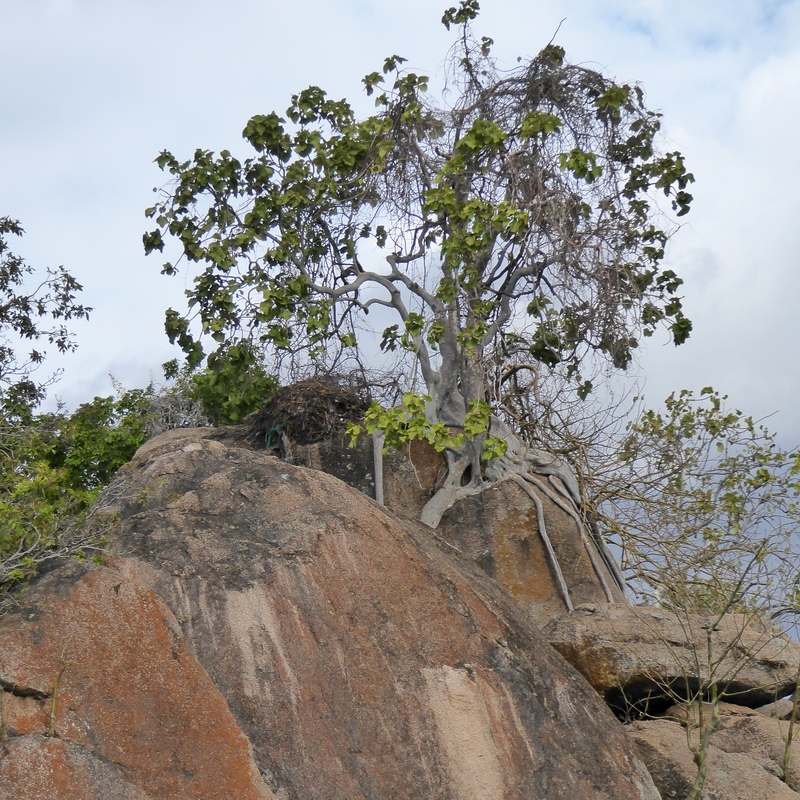 Malawi has over 600 varieties of birds and several were here at Cape Maclear. 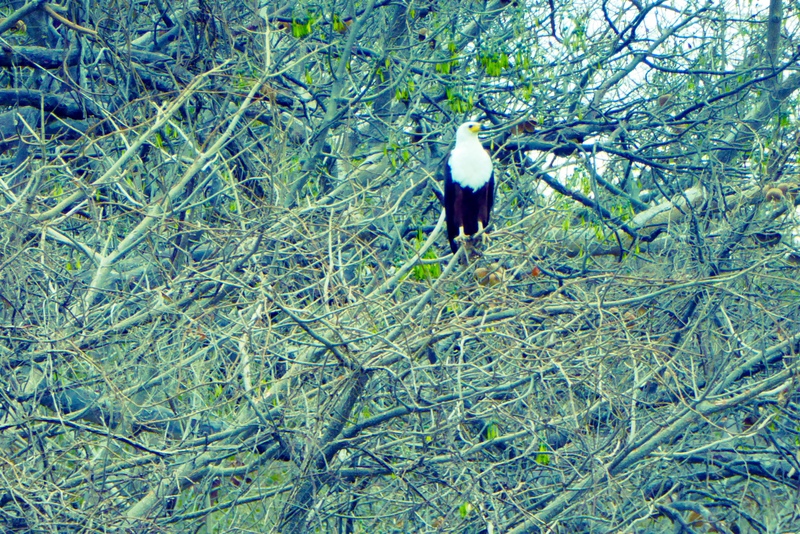 This fish eagle was posing in the tree. 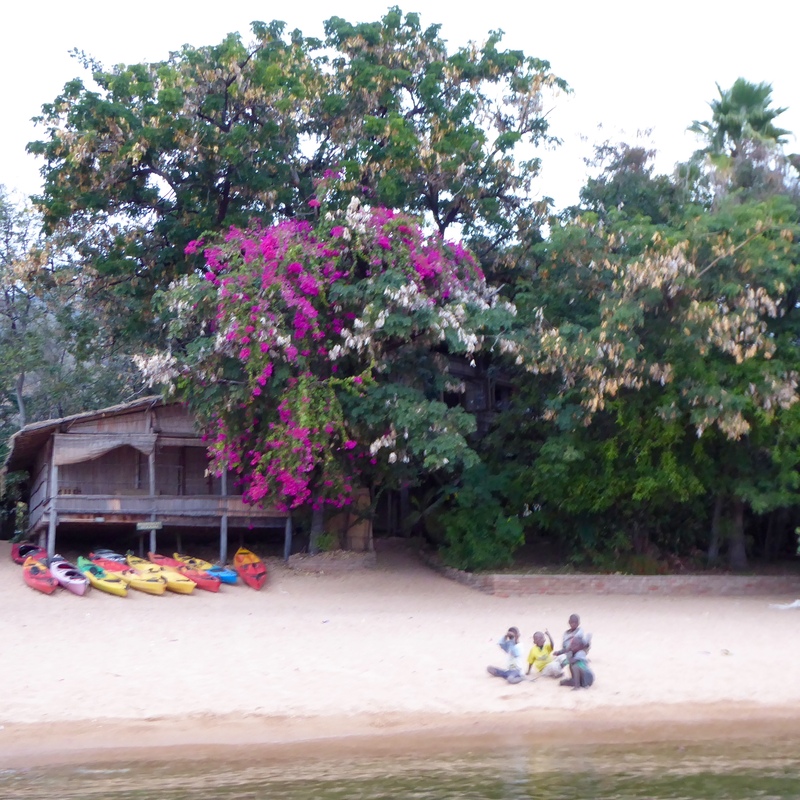 Heading back to our lodge, the flowering tree and colorful canoes caught our attention. Colorful canoes and tree. Friendly children. I like Cape Maclear. 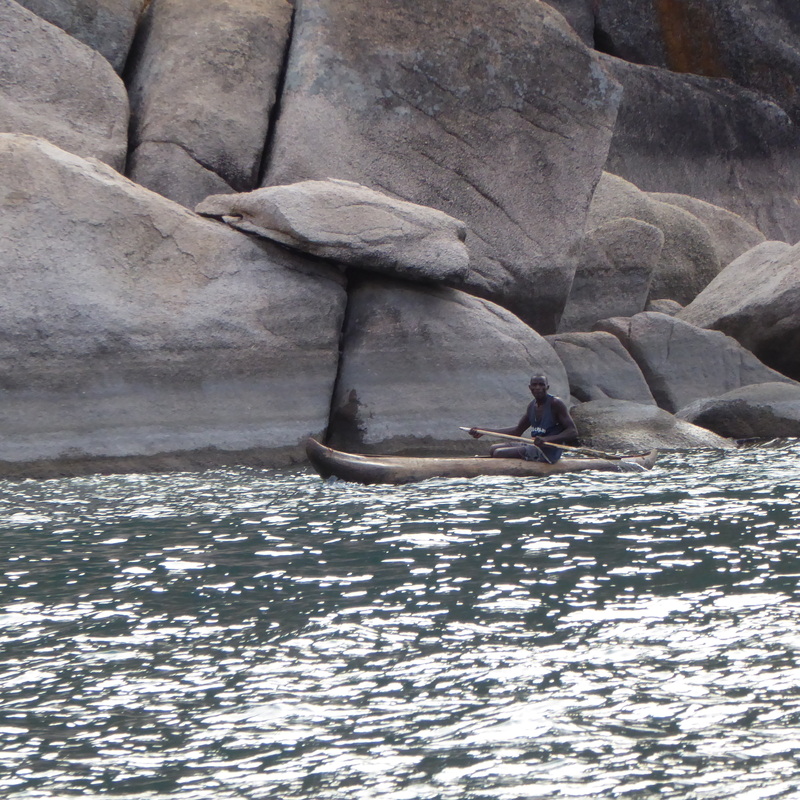 Like every other place in Malawi, I wanted to stay longer and want to come back again. I hope you visit Malawi soon. 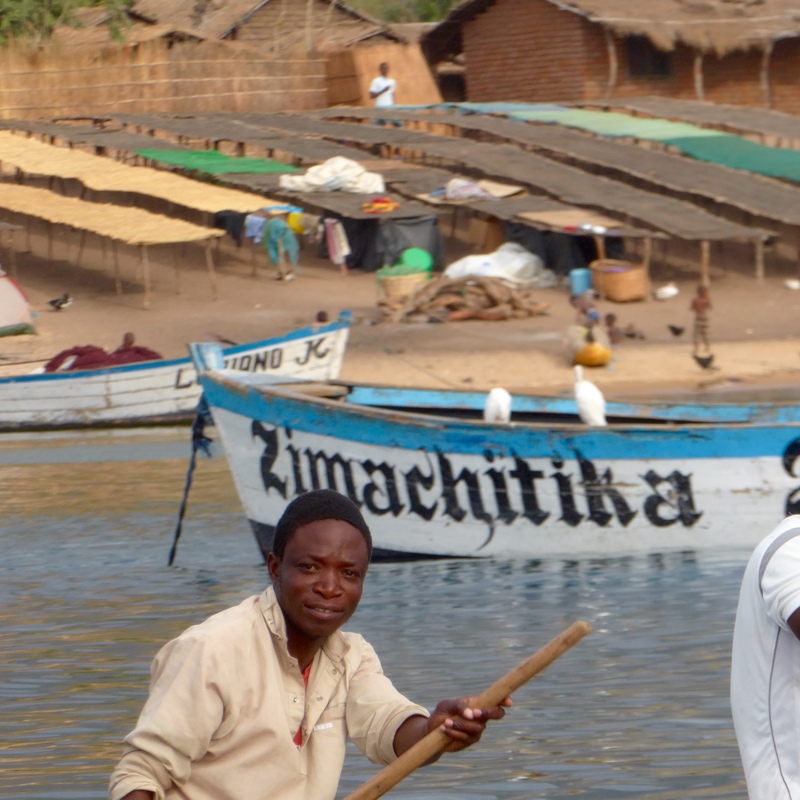 This entry was posted in Africa, Malawi, Uncategorized and tagged Africa, canoes, Cape McClear, Colorado Traveling Ducks, fish eagle, fish racks, Malawi, monkeys, tropical fish. Bookmark the permalink.